When you think of Augusta, GA, chances are visions of golf, azaleas, and green jackets come to mind, thanks to The Masters tournament. But I’m here to tell you that you don’t have to be a golfer to enjoy Augusta…or its sister-from-across-the-river city, North Augusta (which is in South Carolina). 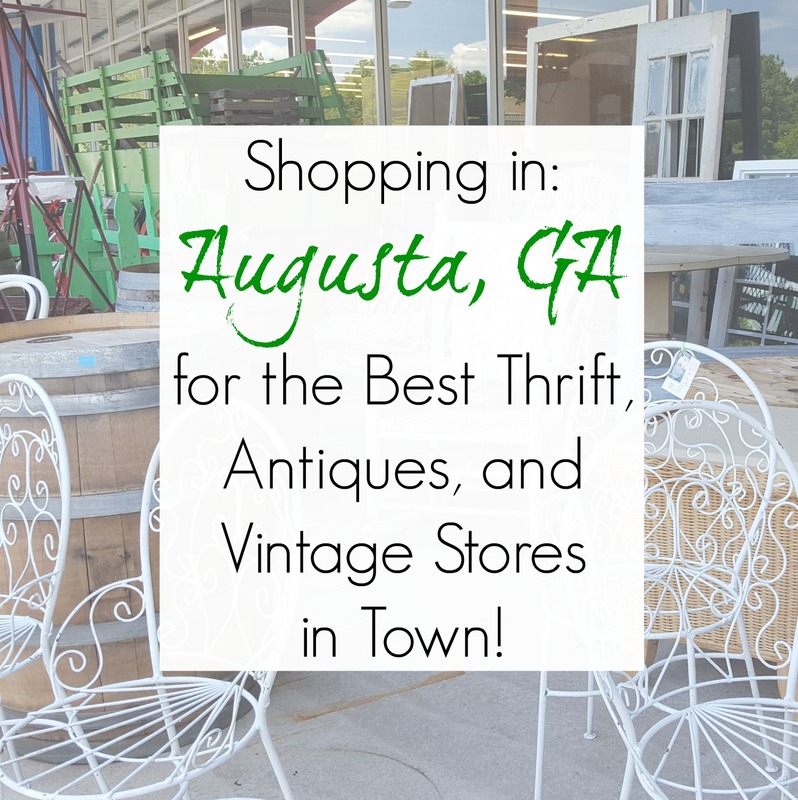 Golf aside, let’s talk about shopping in Augusta, GA. Specifically…the best antiques, vintage, architectural salvage, and thrift stores in Augusta and North Augusta. 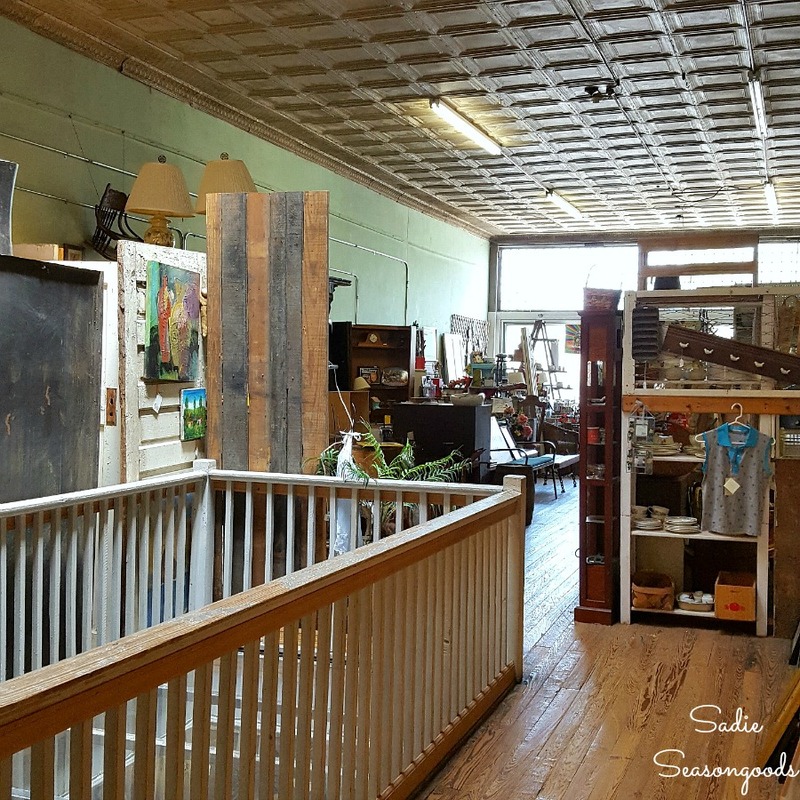 So, THIS is the antique store in Augusta, GA that launched this blog post…I discovered it years ago (in a previous location, no less) and have loved it ever since. In its current location, you can ramble through a couple of floors filled with eclectically-appointed rooms. 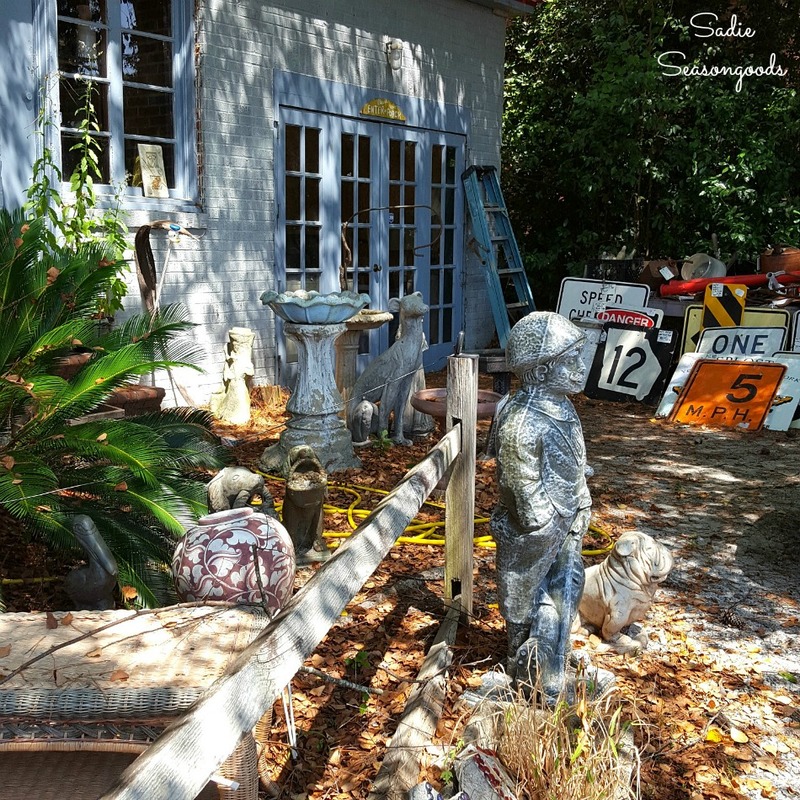 Quirky vintage pieces, crusty “man-tiques”, architectural salvage, and plenty o’ primitives will greet you over and over again…so basically, heaven on Earth for a junker like me! This antiques store is in the heart of downtown Augusta…so I was a little worried that it would be filled with highfalutin “fine” antiques…but BOY, WAS I WRONG. First of all, they filled their huge front windows with delicious scenes straight out of a farmhouse kitchen, so I was hooked before I even stepped inside. And then my feet hit their creeky hardwood floors and I covered every square inch…this shop has two shoppable floors (and a curious, closed-off third floor) filled with vintage glory. DEFINITELY will be returning to this shop next time I’m in town. And now we cross the river from Augusta, GA into North Augusta, SC! 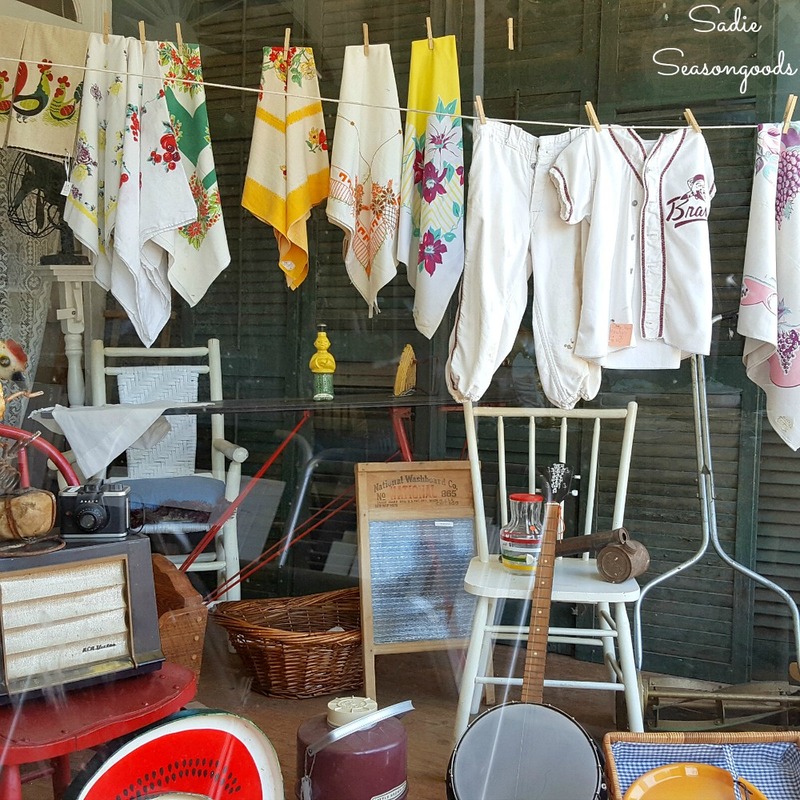 This vintage shop /used furniture store spoke to my heart from their web page…when I saw the words “We specialize in the rehoming of good vintage furniture.”, I melted a little inside. So I had a good idea that I would feel right at home here…and I was right! There was plenty of furniture to be found- especially in the back room- but it was the “smalls” that got me. 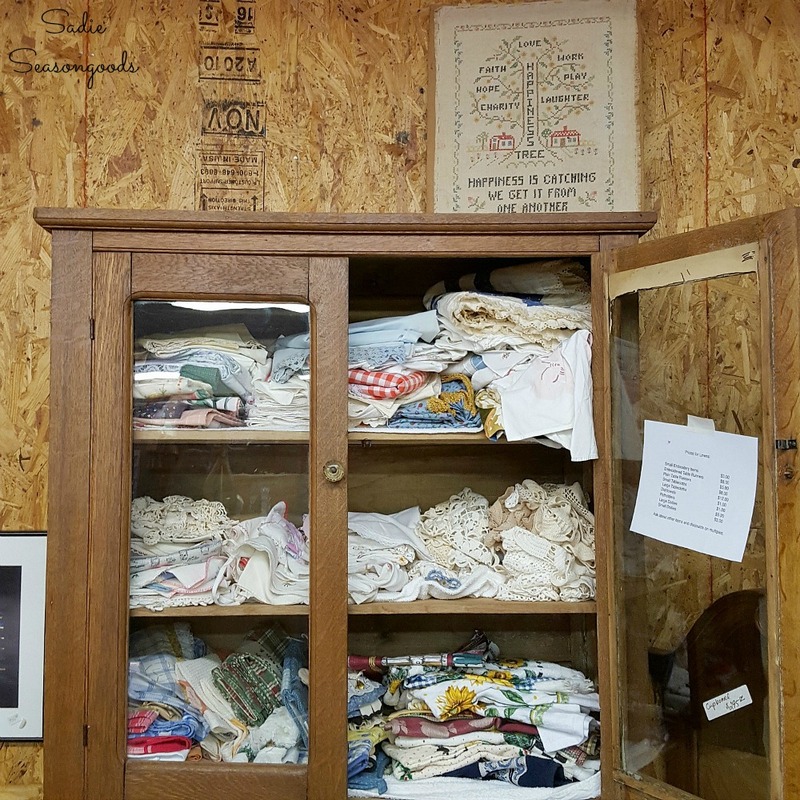 Especially this cupboard of linens…my favorite treasure from the entire road trip was this cross stitch sampler. How could I resist? What is a Sadie road trip without a few thrift stores included? This one is located just down the block from City Limits, so it works out well for a road tripper like me! And you know I love a thrift store that has a huge housewares department…and that’s precisely what Community Ministry Thrift offered. Half the store are projects waiting to be made! 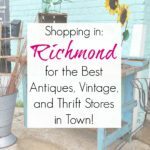 Truth be told, Riverfront Antique Mall could be a day trip unto itself…it’s JUST THAT HUGE! Like, 100,000 square feet huge. Admittedly, I couldn’t cover it all in the time I had allotted…I seriously under estimated the size of this particular antique store. But, I saw a lot of primitives in the booths I checked out…and even the exterior was a treasure hunt, so I’ll have to plan a return trip when I have more time…I’m 100% positive I’d find a treasure (or 50) if I walked the entire thing. Bonus- you could probably get your 10K steps in for the day in one fell swoop! And this was a drive-by place that made me turn around- how could I not?? But alas, it, too was closed! 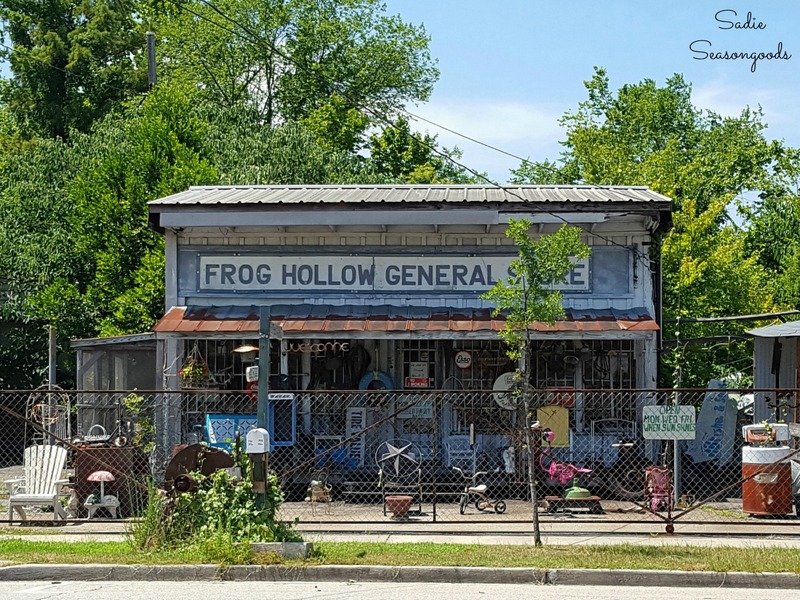 Note to self- return to Augusta, GA when it’s about 30 degrees cooler and come on a day when Frog Hollow General Store is open. My little eye spies some treasures behind that fence! 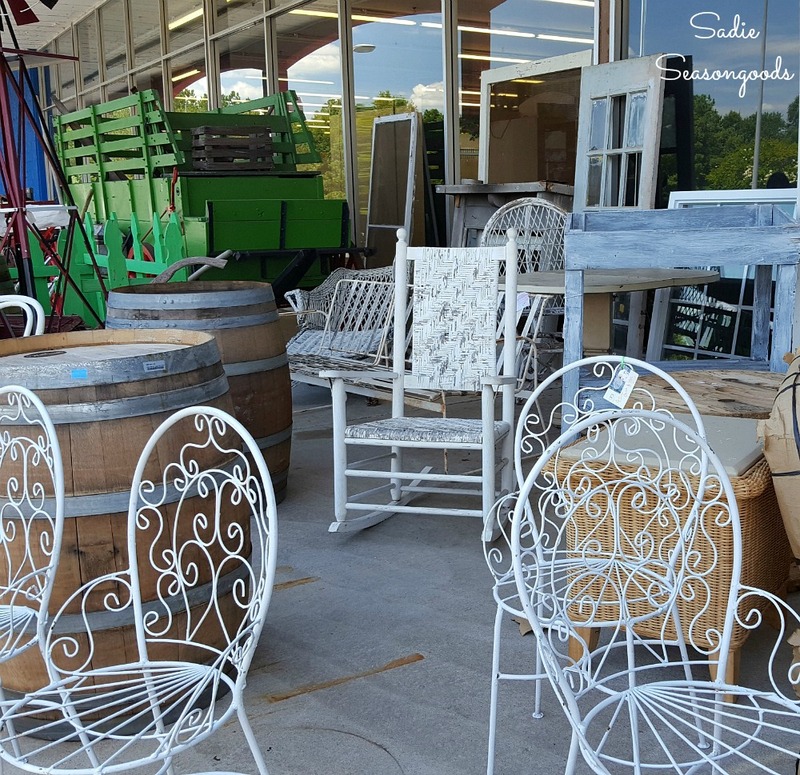 As you know, stores open and close all the time- and at the time this was written (August 2016), these were my favorite antiques, vintage, architectural salvage, and thrift stores in Augusta, GA. Now that several years have passed, I’d love to hear your thoughts. 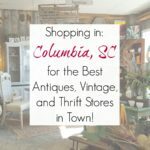 Are there new antiques stores or thrift stores in Augusta / North Augusta that I should check out? You are making me realize that I should pack up and move south!! Such wonderful shops! It is fun just to explore even if nothing comes home. That is so completely true, Rose!! Exploring is half the fun- maybe more! Oh my, I love me junkin shopping. I got to go to Augusta, GA. I need to plan for a long weekend. Thanks for sharing and I am pinning. We were “riding the ridge with Distressed Donna Down Home” while we were on vacation in the same area from 7/28 to 8/1. Donna has a booth at Riverfront Antique Mall. (It’s the best one!) You can see part of our story at her blog entry here: https://distresseddonnadownhome.blogspot.com/2016/08/riding-ridge-with-rush.html We had a blast! We plan on going back, hopefully when it’s a little cooler, too. I’ve made notes about where you had gone, so maybe we can go to those places next time. I love it when folks share their travels and what they find, especially when it’s a place I know about! We had made a special trip to meet up with Donna, but I also have a cousin in Columbia (to the east) and a niece in Augusta. We had a great time and found so many goodies. I have photographed everything, and now I need to blog about it! Thank you for sharing! Love it!! Yes, Donna and I have talked about that for a couple of years…will REALLY try this autumn. I loved her post and all the treasures she found!! Omgosh, I’m so jealous! Looks like I need to take a trip to Augusta! Thanks for sharing with us at Merry Monday this week! Yes, indeed- and I’ve already planned out my next trip to a new town! Looks like you got to see some cool antique stores. 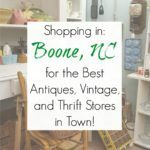 We love looking for new antique stores when we travel. Thanks for joining the Family Joy Link Party! This really makes me wish I would have had more time in Georgia. Im with ner down below moving to the south.. Seems to ne the places with all the goodies… Which we still nad plaves in San Francisco Ca, but they all have just left outta here. I swoon when I see photos and places like these my heart really does a number lol.. Wish I could jump right in that photo and be there.. With love Janice. Ps enjoy your trip.. Thank you so very much, Janice! 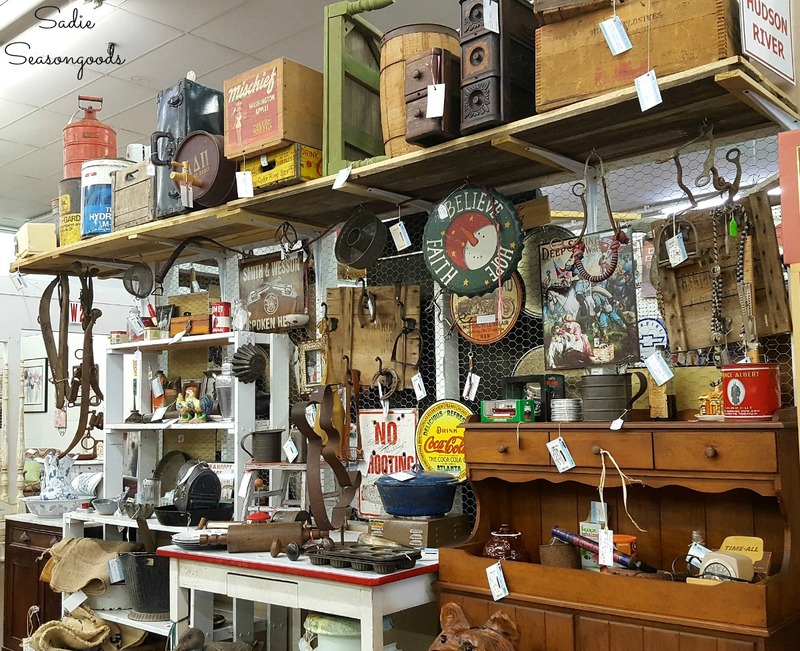 It all sounds like some good Southern junkin’! Hopefully I will make my way down there from Upstate NY some day! I want to visit every one you featured! Thanks, AnnMarie!! I’ve been to the Adirondacks several time, but not for junkin’ unfortunately. Oooh, will have to keep it in mind for my next visit for sure! Thank you!! I’ve been to Augusta many times and have been to Meemaws. Can’t believe I’ve missed the others! Are y’all a vintage clothing store? I was on the hunt for junk and housewares for projects…but will keep it in mind next time I’m in town! We are the largest Vintage Clothing store in the South. Atlanta vintage stores come to us to buy their clothing and take it back to Atlanta. Our clothing goes back to 1920’s, with the majority being 1940’s, 1950’s and 1960’s. Not to mention rare designer pieces, period hats, gloves, purses, jewelry, eye glasses….etc… We costume most period plays, theatre and of course any movie that is in Augusta. At last count we had over 40,000 pieces of clothing in our shop. Very impressive!! 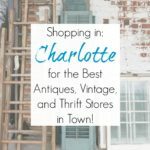 One of my dearest friends here in Greenville specializes in vintage clothing and accessories, but more ’40s-’60s. 🙂 I’ll be sure to pop in next time I’m in town- I really do like Augusta! Thanks for the tips! 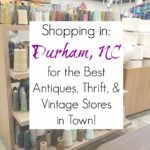 I’ve not been to any of these, but LOVE to go antiquing!!! 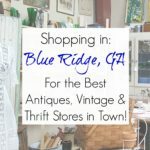 We have several shops in Wrens Georgia…..come on down Hwy 1 and check out The Paisley Bag, The Land of Cotton, Olio Cottage, Uptown Reclaimed Treasures and several more! I NEED to go junkin’! These look great! Thank you for sharing at Party in Your PJs! I am ready to pack my bags and go on a road trip to these shops! Thank you! Thanks for the tour of all the Junk-Heaven shops! That sampler is the best – I would not have resisted either! Great shops & junky goodness…..happy sigh….. Welcome, Catherine!!! I’ve already got my next two autumn trips planned out- can’t wait to explore and share! Augusta is just a couple of hours down I-20 for me so I’ve got to plan a trip and soon. 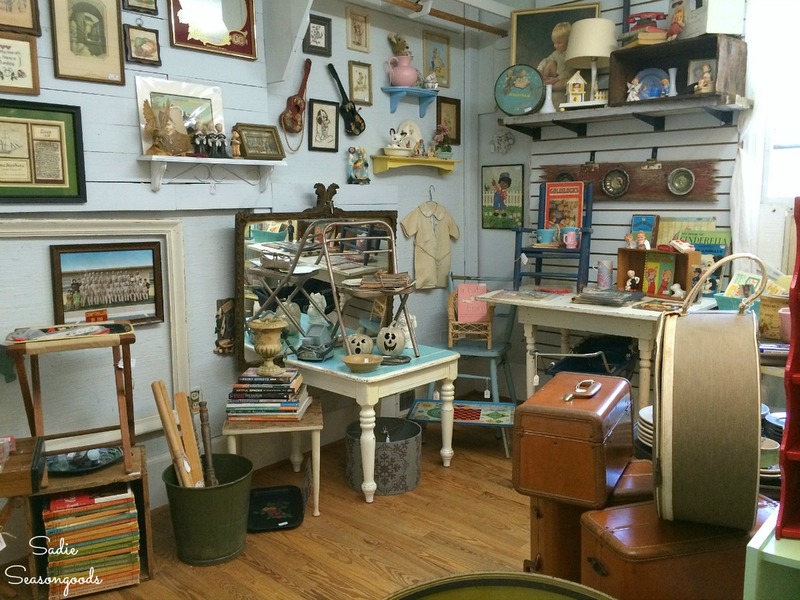 Thank you for sharing you junkin adventures at Vintage Charm! Oooh, are there good antiques/thrift shops in your neck of the woods? I’m always looking for new destinations! Great recommendation. I really love travel to places with antique scene. It recalls me about the past days and i got some feeling that i can not express when coming there. Need to have plan to visit these places now. It would definitely be an all-day affair!! Thanks so much, Robert. 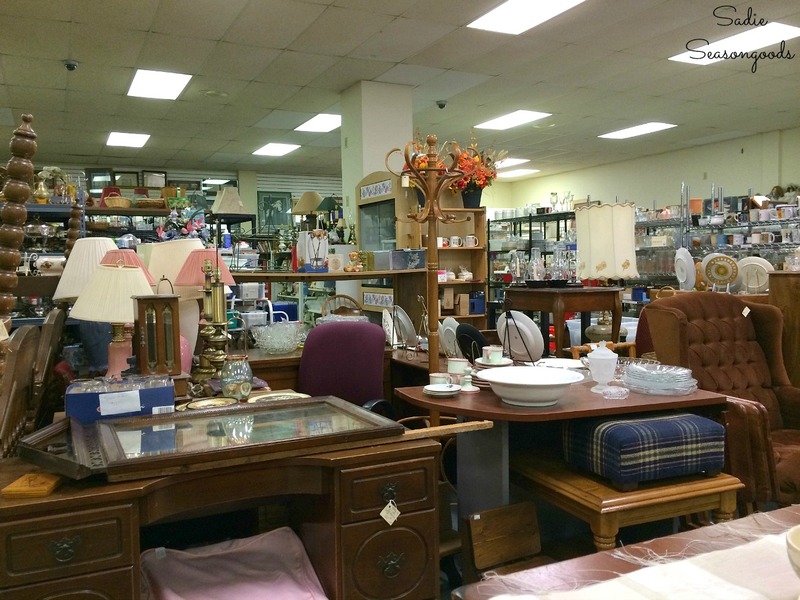 Don’t forget Trends & Traditions antique mall on washington road in the Stein Mart shopping center! Such a selection of thrift stores Sarah. SAdly we have none of those in my end of the boondocks. But I will definitely keep this in mind next time I make my way across the pond. Btw, what is a “man-tique”? it is the funniest word and brings lots of strange things to mind. Hi Sarah, This is Karen at City Limits Vintage and I have closed the business and trying to remove the ads about my place so folks will not be looking for my shop. I am doing something else in the building and they are completely different businesses. I know you may not be able to update the blog but if you can try to remove the tags that point to my place. Thank you for adding me to your fun page and for your business. Hi, Karen- I’m so sorry to hear this but understand and respect your request. I can definitely update my blog post and will mention that the shop has closed and will remove the link. Thank you for letting me know!